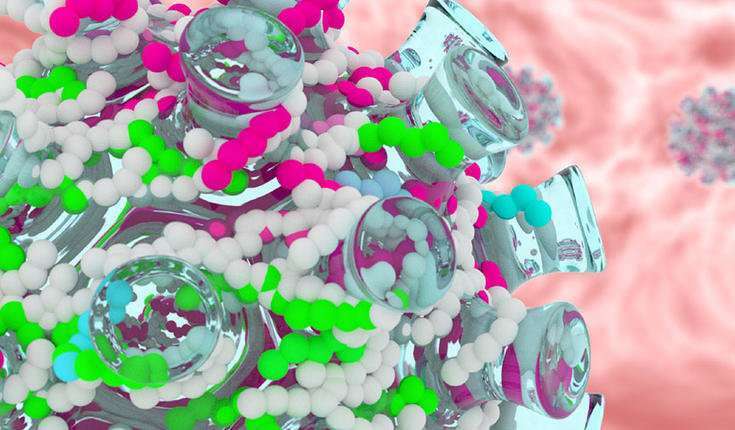 Researchers at the University of Helsinki have reported PeptiENV, a cancer vaccine platform that can be used to improve the therapeutic efficacy of oncolytic enveloped viruses currently in clinical use. With the help of this new cancer vaccine platform, the activation of the human immune response against cancer cells becomes significantly more effective. "What is actually the most remarkable insight concerning the PeptiENV cancer vaccine platform is that we are able to envelop oncolytic viruses with the patient's own cancer peptides, enabling tailored, targeted treatment," says Erkko Ylösmäki, an Academy of Finland postdoctoral researcher working in the ImmunoViroTherapy Lab of the Faculty of Pharmacy, University of Helsinki. A virus enveloped with peptides through the PeptiENV platform can effectively "train" the patient's own, locally active T cells to identify tumour cells. Thus, the number of T cells able to identify tumour cells increases in the cancerous tissue, improving the efficacy of the cancer therapy. The study demonstrated the functionality of the PeptiENV cancer vaccine platform in conjunction with oncolytic-enveloped herpes simplex virus 1, already used in the treatment of metastatic melanoma. Oncolytic vaccinia viruses, among others currently under investigation in clinical trials, are also compatible with the cancer vaccine platform. "We aim to expand the pool of patients that could potentially benefit from the unparalleled efficacy of immune checkpoint inhibitors," Ylösmäki explains.